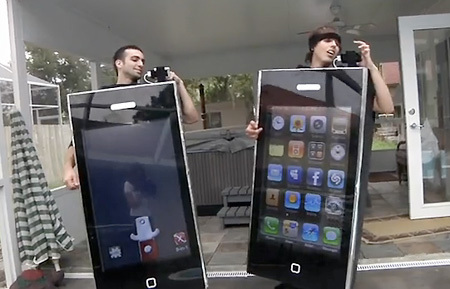 These iPhone costumes were made of LCD TVs showing the content from the jail broken iPhones attached on the top. Each costumes weighs 85 pound including a car battery that powers the display. Video after the jump. Rumor: iPhone Nano this Spring?